I am passionate about providing my patients with professional, effective dental care in a comfortable and pleasant environment. I treat my patients the way I would like to be treated: with respect, compassion, and patience. It is always my goal to give my patients ideal health, a beautiful smile, and confidence in knowing that they received the best possible treatment from a group of professionals who truly care. 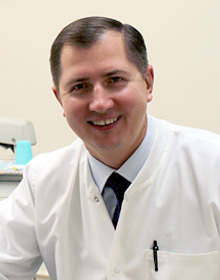 A native of Ukraine, I began my formal education at Lviv State Medical University, graduating in 1988 with my dental degree. 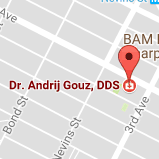 After moving to the U.S., I attended New York University College of Dentistry and earned my Doctorate of Dental Surgery in 2003. Graduating in the top 12 percent of my class, I was inducted into the Omicron Kappa Upsilon National Dental Honor Society. I take continuing education courses on a regular basis to stay up-to-date with the newest technology and techniques in dentistry. I want to provide my patients with the best, most efficient choices when it comes to their personalized treatment plan. Also, as an active member of the American Dental Association and the New York Dental Association, I have the opportunity to be involved with the dental community as a whole, learning from the experiences of my peers. While I love practicing dentistry, my family is the most important thing in my life. I have lived in Brooklyn, New York, for the past 17 years with my wife, Orysya. We have one daughter, Kateryna, who currently attends Fordham University where she is studying chemistry on a pre-dental track. When I have free time, I enjoy reading, traveling, skiing, and soccer.